Car Destruction League - Are you a rebel? Are you crazy enough to join this top secret driving destruction league? Get ready for the craziest driving destruction war of all time. Pick from a variety of car models and outfit the baddest, meanest ride in the league. Get ready to CRUSH your enemies with your demolition derby vehicle! Smash and crash to your heart’s desire in a unique rooftop arena. Speed around the track and outrace your competitors! Choose fun and challenging theme alternatives such as volcanoes and whirlpools. Every level challenges you to destroy more cars for maximum achievement. Can you keep up with the craziness? Amongst the madness, do not lose your cool. Drive carefully to avoid falling into a whirlpool! Annihilate your rival car before it destroys you. Unlock outstanding environments and awesome car models for ultimate thrill! Reach the final Car Destruction League championship and emerge the last survivor! •Mesmerizing 3D graphics and fun filled sounds! •Awesome environments: volcano arena, whirlpool derby, rooftop helipad. 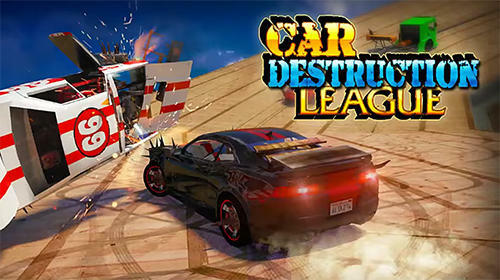 Car Destruction League: install APK and play the game.